Raphael Reboh, Co-Owner of Femme Coiffure in Miami Design District moved from Paris, France to Montreal Canada with his siblings to open their first salon. All of the brothers had a special knack for hair-styling. 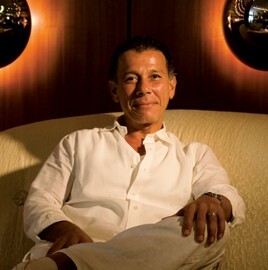 About 20 years ago, Reboh saw an opportunity to open a salon in prestigious Bal Harbour, Fl and later Miami beach. Years of talented styling have granted to the hair expert an A-list clientele with stars including Jennifer Aniston and Cameron Diaz. Femme Coiffure boasts a modern interior design approach with a monochromatic white color scheme and hints of baby blue furnishings. Femme Coiffure offers a range of services including cuts, blow-outs, color and special offerings like Brazilian Blowout Smoothing Treatments.